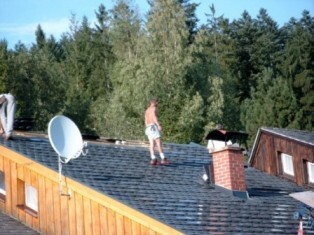 EASY The planning and installation are as simple as on any normal roof. 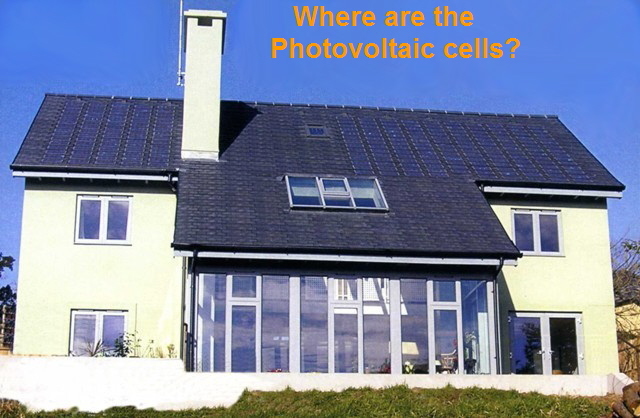 SENSIBLE Photovoltaic cells are integrated into the roof. Simply and unobtrusively. ECOLOGICAL Manufactured from recycled plastic. These photovoltaic roof tiles adapt to any kind of roof, both modern and classical. All previous elements, skylights, chimneys etc. are retained. 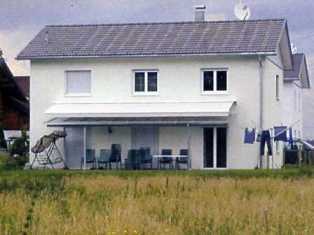 These photovoltaic roof tiles correspond in appearance, weight and color to normal tiles. 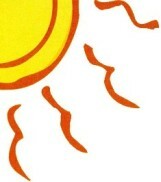 His appearance is the of a normal roof tile without large areas of photovoltaic panels to break the balance of the whole. 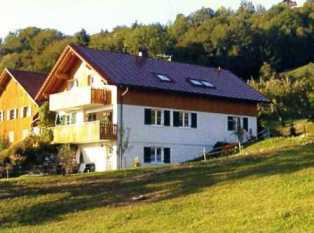 The photovoltaic system adjusts to the demands of the inhabitants and not vice versa. 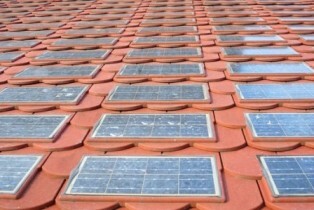 All tiled roofs can be retro fitted with Photovoltaic cells of the same type. 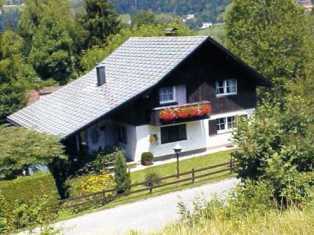 It is not necessary to make changes to the form or structure of the roof. 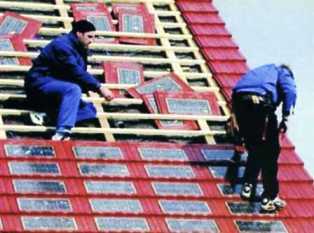 The photovoltaic roof tiles can be installed by a normal tiler, with no re-training. No special tools required. Photovoltaic tile systems are fabricated to be reliable, solid and weather resistant and can cope with the steepest roof falls. 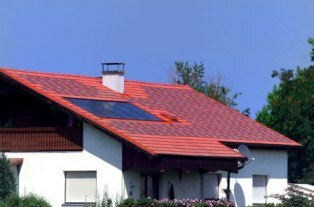 The photovoltaic roof tiles correspond in shape, colour and weight to the normal tiles of all types. The photovoltaic roof tiles have been certified Polymatrix ®, an organic material from recycled plastic and free of PVC. The installation of photovoltaic roof tiles is simple and requires no special training. These photovoltaic roof tiles have received numerous awards for innovation and excellence. 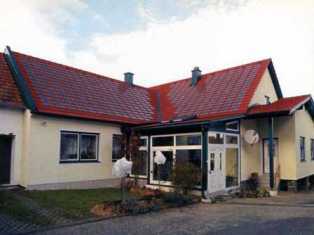 The photovoltaic roof tiles stepDESIGN does not alter the normal appearance of a roof. 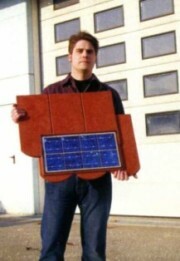 The solar photovoltaic tiles generate electric power, regardless of emissions, movements or noises. The tiles are especially suitable for buildings of national heritage importance since they have a completely unobtrusive appearance. 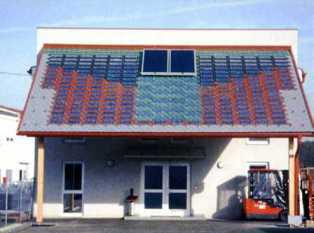 Original tiles can be changed easily by these photovoltaic roof tiles. The stepDESIGN allows a subtle integration of photovoltaic elements on the roof, while preserving the original tiles in other areas. 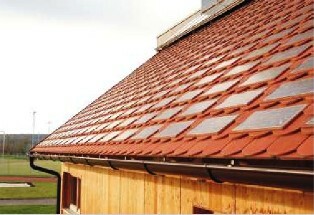 The photovoltaic roof tiles are available in sets. Complete ready for assembly, adapting to local conditions where they are to be installed. Click here to contact us for your personal question.